Gaymers iNC. Christmas Dinner - Gaymers iNC.
Don’t be a Grinch and stay home alone. 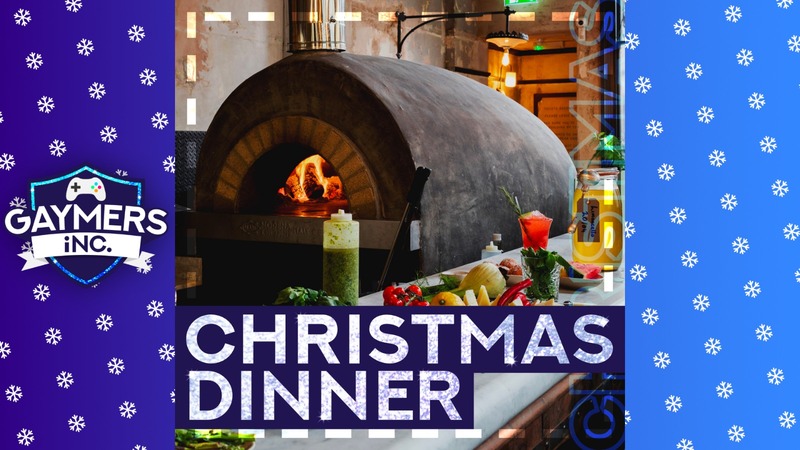 Jingle all the way up to Hackney for a delicious Christmas meal, Italian style. We only have 60 places available and a lot of you were interested, so if you really want to come please don’t wait or you might miss out. Join our group, link below, to secure your spot. Spaces are limited so join quickly! We’ll request a payment for £35 via Paypal for the meal (remember Friends and Family please). Only once you’ve paid will your place be reserved. Please join our Facebook group and check the pinned post for the menu options. We’ve done our best to cater for different dietary requirements but if you have any allergies or intolerances please let us know and we can try and sort something out for you separately. Arrive from 6:30pm for some drinks before sitting down for dinner at 7:30pm. You’ll be able to sit wherever you like on the night, though it would be nice to sit with some people you don’t already know. It costs £35 to take part in this event. You do not need a ticket for this event. Just join our Facebook group before going to the venue!